Ancient Egyptians used Dead Sea salt, kohl and olive oil. The Greeks used honey and vinegar. Geishas used rice flour and Indians chewed betel leaves to stain their lips. Beauty girls of the 1800s rubbed burnt bread on their teeth for fresh breath and used black soot with oil to tint their eyebrows. Their versions of facemasks bordered on the macabre: arsenic to turn the skin of Queen Elizabeth I white. We sure have come a long way since and aren’t we glad. The introduction of technology in beauty have given women and men who wish to prolong their youthfulness or refine their appearance, a reason to hope. If there is one thing I’ve learned in covering the beauty beat, it’s that there is a way to address almost every beauty concern. I’m not talking about “problems” like acne or rosacea, but there, too, are solutions for those — I mean concerns that are possibly only visible to its bearer, things that we want to address because it would make us feel better. In recent years, an unofficial global movement of women of all ages has spoken out about why we wear facemasks, draw on eyebrows and undergo a treatment or two — however they make us feel, whether that’s tough, pretty, soft or strong, they give us the boost of confidence we need to do better in almost every aspect of life. That’s the healthy perspective, one that Merz Aesthetics, a global leader in medical aesthetics, is advocating. If there is something coming-of-age movies have taught us, it’s that a makeover, more than a reaction to circumstances, can be an effective catalyst for self-discovery and empowerment. If you think that sounds trite, read about the stories of the 11 women who spoke about their Serendipity Journeys on www.myserendipityjourney.com. Coming from different countries in the Asia Pacific, they talk about self-care in relation to self-love, and how undergoing an aesthetic makeover, such as getting a lift, or fillers or a defined jawline, can do wonders for the self-esteem and create a ripple effect of positive acts. As a global provider of aesthetic products ranging from skin tightening to fillers and pure toxins, Merz Aesthetics with its MASJ campaign, is at the forefront of a beauty revolution in the Asia Pacific. In the Philippines, a country that has a steadily growing market for non and minimally invasive aesthetic treatments, people are still generally uncomfortable telling people when they’ve had anything done — not that they owe strangers an explanation, but the fact is, this doesn’t have to be the case. 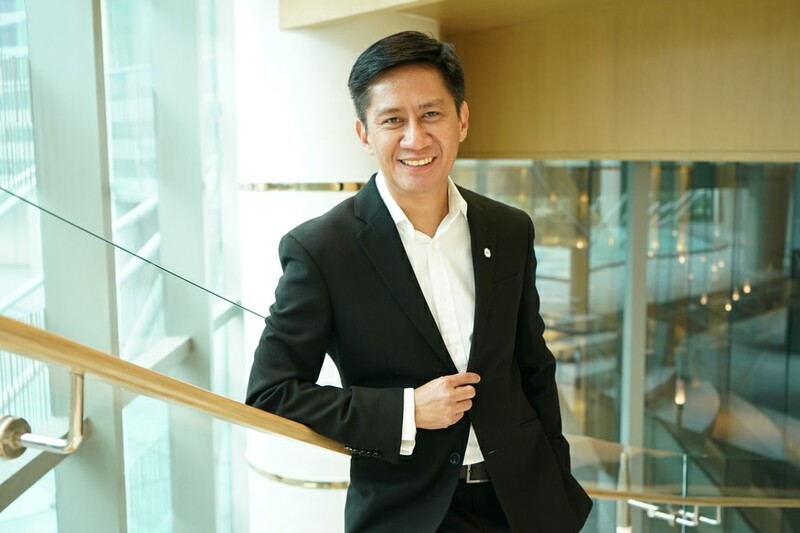 Merz Philippines country manager Jorge Tuazon Libanan says aesthetic treatment is an investment, not an indulgence. Merz Aesthetics and its official partner doctors and clinics are professional in the way they assess a patient’s needs and wants. The objective of the MASJ campaign is to de-stigmatize aesthetic treatments and empower everyone who has done or is doing them to talk about their journey and spread the word. “The Philippines is still very conservative. It is embedded in our culture. But the technology is already present and safe. And it’s meant to enhance, not to alter. We want the patients of our partner doctors to become better version of themselves rather than let’s say, just give them the lips of Angelina Jolie,” Libanan says. Focusing on “enhancement” over alteration, clients are asked, “What is your favorite feature?” Its partner doctors assess features only in relation to the client’s own facial proportions — which means, no, they won’t give you Angelina Jolie lips or Naomi Campbell cheekbones if it doesn’t suit you. The whole idea of the campaign is to push aesthetic treatments as means towards becoming the best version of oneself, not to look like somebody else. Libanan and Rappa are spearheading the MASJ movement in the Philippines. Both having more than 20 years of experience in the aesthetics industry, they have proven their expertise in the field through successful campaigns and the growing success of Merz in the Asia Pacific region. Of course, with the market being predominantly female, the spotlight is on the 11 MASJ representatives who will be sharing their Serendipity Journeys with the public. For Cat, her aesthetic treatments with Merz are investments that have made an immense impact on her personal well-being and career. In September, the Philippines will be hosting the MASJ Soiree, bringing together the 11 women who have experienced their own Serendipity Journeys, with the objective of spreading the word about self-love through self-care and the positive effects their personal Journeys on their confidence, well-being and outlook. While the representatives are in their 20s to 40s, Libanan explains that the Serendipity Journey knows no age and speaks to everyone. “There’s no age limit. We have products that will help patients into their 50s and beyond. What they would need would differ from different age groups. The message is still the same for them,” Libanan shares. “We really want people to look better. We want to extend and share this with more people. With correct knowledge, they will understand where to go for the treatment, what to get, and there will be no feeling like you need to hide it. This is what we look forward to in the future,” Rappa shares. Self-care practices have truly come a long way. There is everyday self-care, which is the soothing, replenishing kind that mends the soul as well as the pores; and there is self-care as an investment, which gets literally under the skin to provide long-term confidence and peace of mind. It all comes down to what ever we choose and are comfortable with, and that, ultimately, is what MASJ wants us to know: your face, your choice, your journey. Just stay away from the arsenic.